Outside of academic work, college is a place to learn new skills and find your voice. Get involved with issues you care about and explore new areas that you are curious about. Many of the colleges involved in the Green Campus programme have established community gardens on their campuses as part of their Green Campus activities. 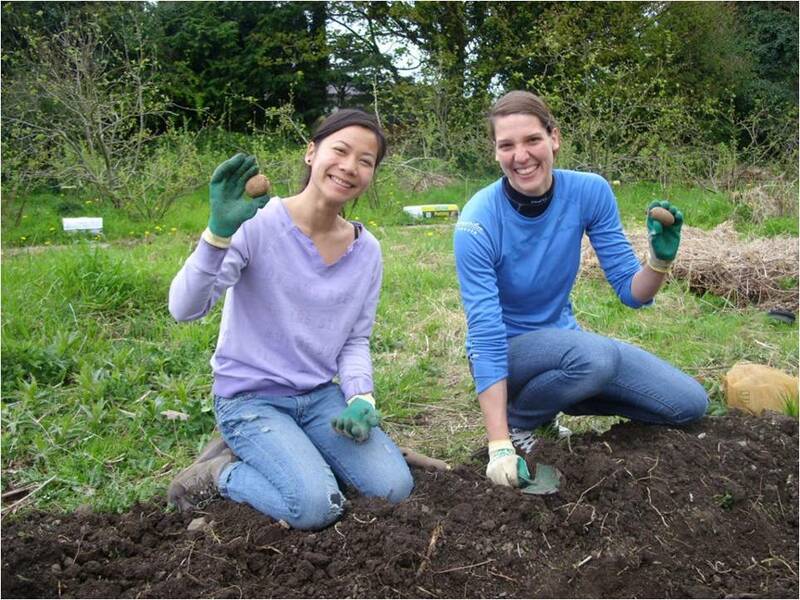 DCU established a community garden in 2013 on a section of disused land for use and enjoyment by DCU students, staff and the wider community. UCC Environmental Society & the International Development Society have established polytunnels on their campus and receive support from the UCC Green Campus Committee. 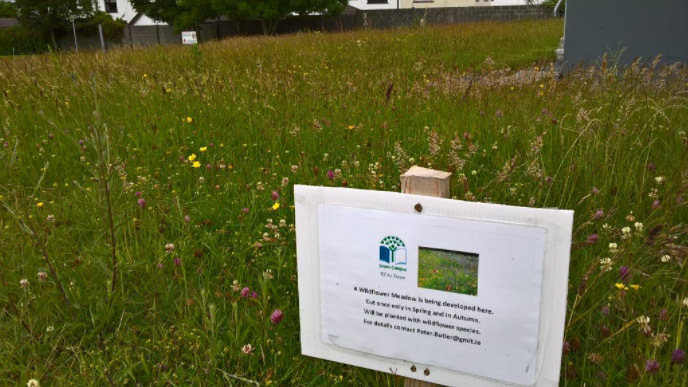 As part of their Green Campus actions and in support of the All Ireland Pollinator Plan 2015 – 2020, some Green Campus committees have established wildflower meadows on campus. Featured picture: GMIT Dublin Road: The establishment of a wildflower meadow where an area of the GMIT Dublin Road campus grounds has been set aside as a nature reserve. This 300m2 area will be surveyed each year for butterflies and bees. It is intended that results will be incorporated into a student project. The University of Limerick Apiary was set up in the summer of 2015 and continues to produce. 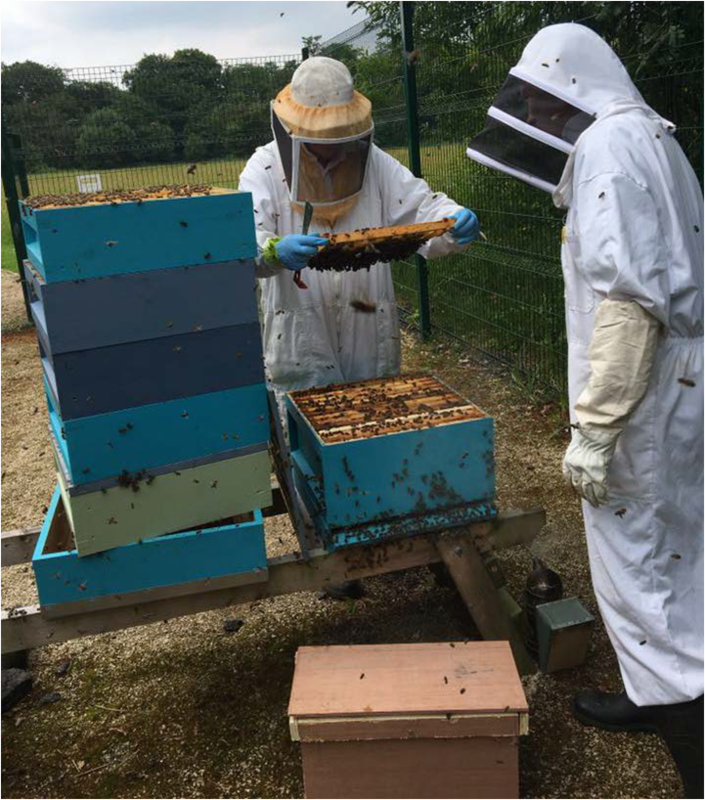 Three trainee beekeeper courses for UL staff and students have taken place since its completion which maximises engagement. Management of the apiary is informed by expert opinion including those of the Banner Beekeeper Association and the Limerick Beekeeper Association. Regular bee inspections take place during their productive season. 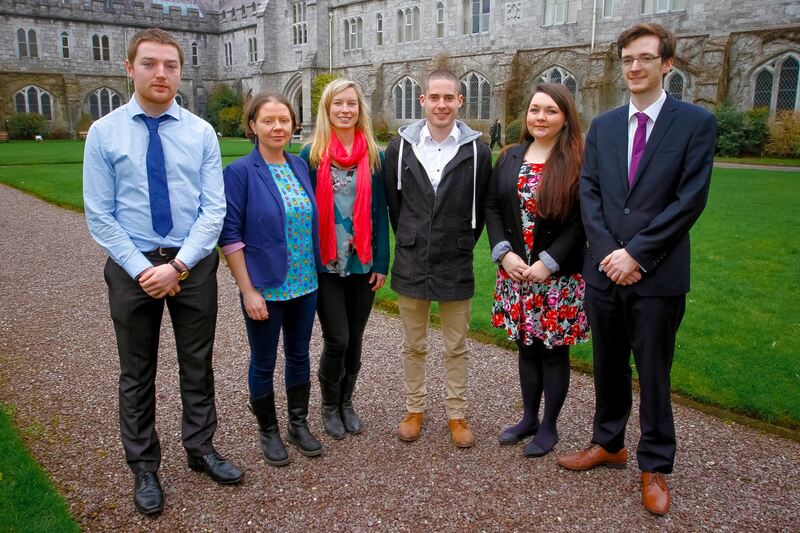 In February 2015 UCC Green Campus collaborated with the UCC Philosophical Society and UCC Engineers Without Borders to run a student led conference on climate change and to pilot a ‘green your event’ initiative to offset transport emissions associated with the conference. Most people walked or used public transport to attend so the emissions were low. 100 native Irish birch trees were donated to individual attendees and a local homeless charity, the Simon Community, to plant in their community garden. €140 in donations was also raised and donated to WeForest to further offset emissions. Based on offset estimates and the total number of trees planted (380) they have succeeded in offsetting up to 16 tonnes of emissions over the next ten years. 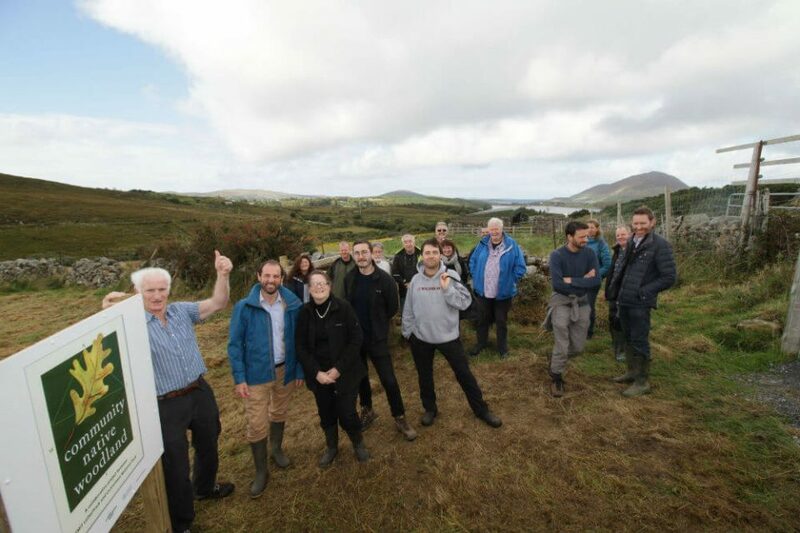 In 2013, the Green Campus Committee of GMIT Letterfrack collaborated with Connemara National Park to establish 5 acres of Native Woodland. With support from ‘One Million Trees in a Day’ and the Department of Agriculture Native Woodland grant, over 3,000 saplings were planted by students and staff of GMIT, local voluntary groups and community members. The site will be of huge importance in supporting biodiversity in the area, playing its role in carbon sequestration and will also act as a learning environment for students and the wider community. 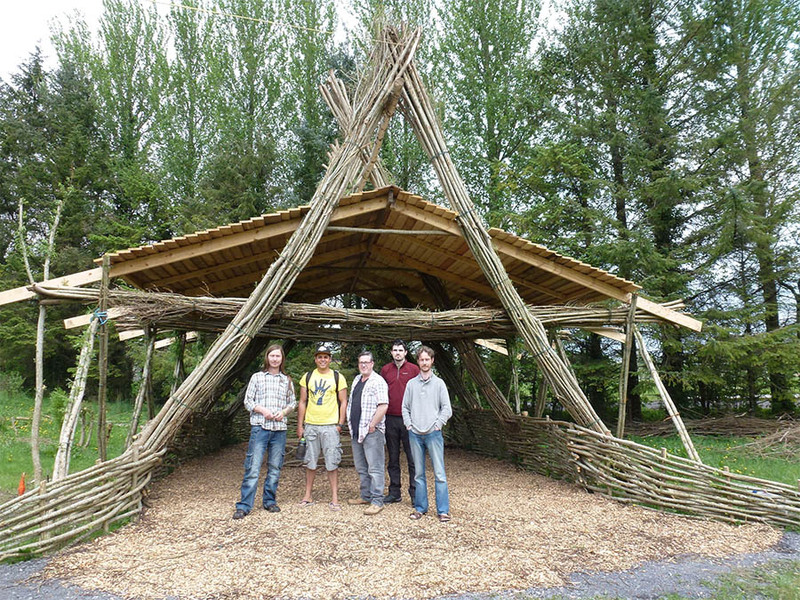 In the spring of 2016 students and staff constructed an Outdoor Willow Classroom on the grounds of GMIT Mayo Campus. Once a design had been agreed GMIT Green Campus Committee applied to Mayo County Council for funding under Local Agenda 21. The project will continue to be an ongoing project and each year new students will have an opportunity to work on the classroom. By the end of April 2016, less than three months after its establishment, the Willow had begun to grow. Further information about the project is available on a blog created by Lecturer Davy Walsh. See here also for a recorded account by Andreas Koenig of the development of the outdoor classroom. Since completion of this phase of the project, the GMIT Mayo have supported a local secondary school, St Josephs in Castlebar, to construct a similar outdoor classroom. 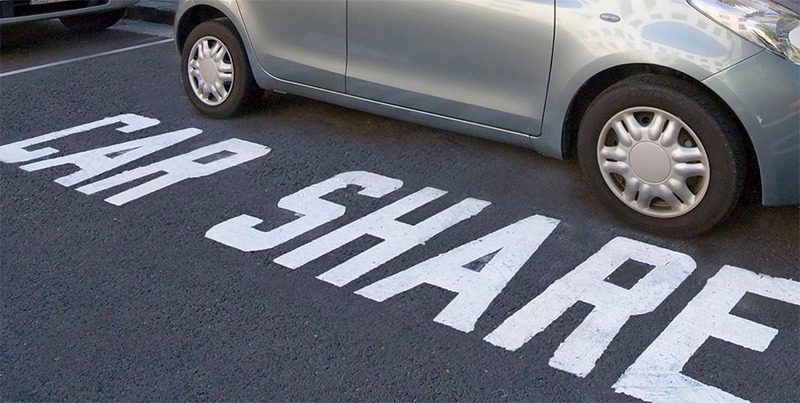 Featured Image shows car sharing spaces on Maynooth University Campus. A secure website to enable staff and students to find people to car pool with has been established by Maynooth University with support from Maynooth Green-Campus and the Students Union. Awareness raising campaigns about the correct disposal of coffee cups and the fact that they are not recyclable, manufactured from virgin (non recycled) paper, contain plastic etc. Host a movie screening on campus and invite a well known person! 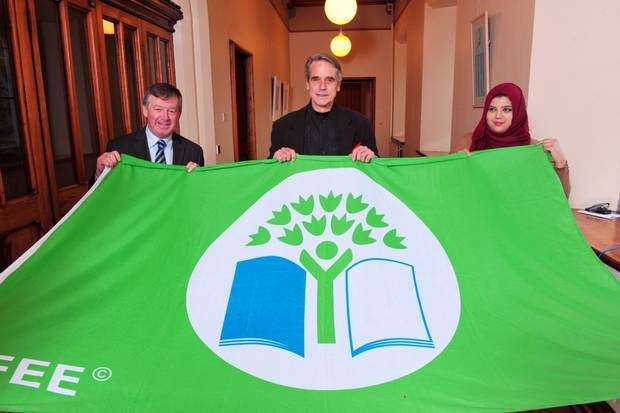 Featured is former UCC President Michael Murphy, Jeremy Irons & Fiza Ahmed Green Campus Coordinator. 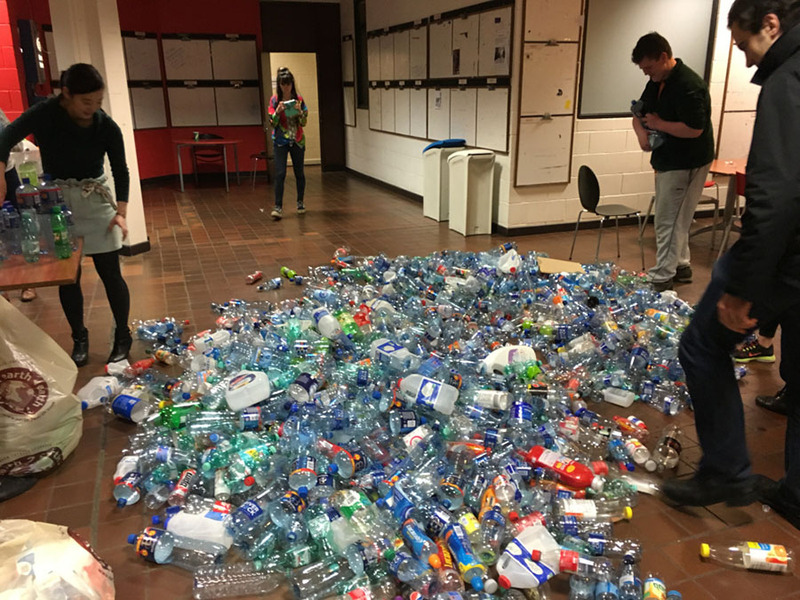 In 2015, UCC Green-Campus hosted the movie Thrashed and have had further successful movie screenings since at Green Week events etc. 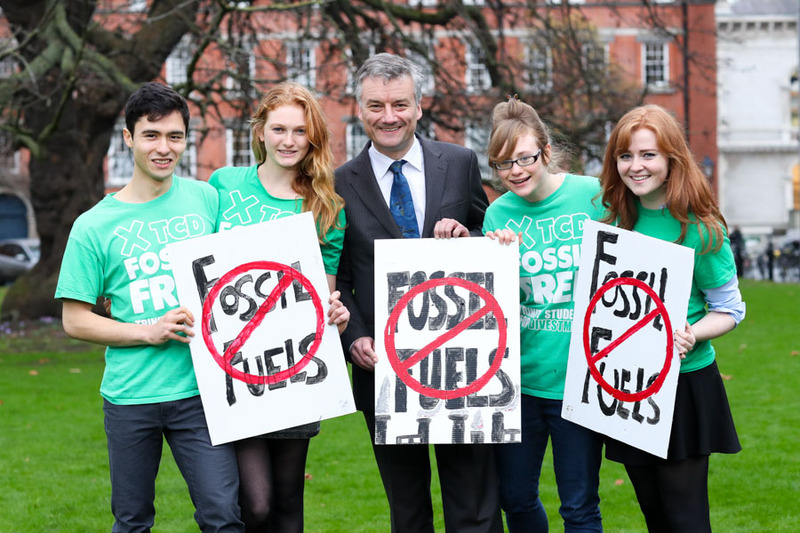 A student led group Fossil Free TCD were successful in their campaign to get Trinity College Dublin to divest from fossil fuels in Dec 2016.